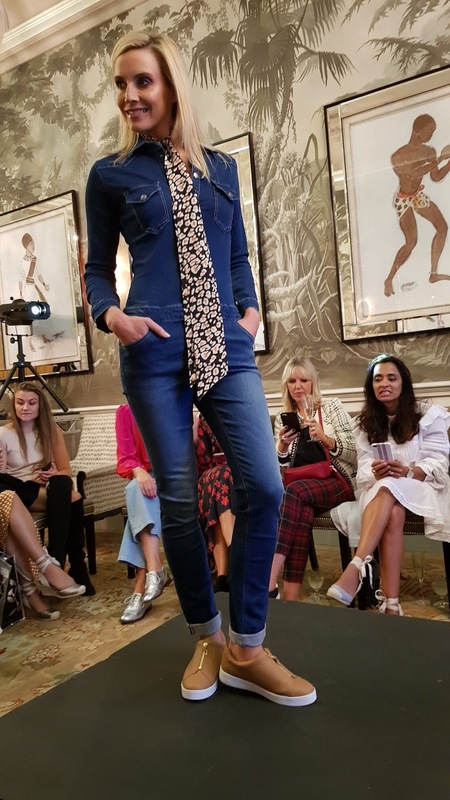 Vionic trends for autumn/winter | Is This Mutton? I've known Vionic UK for nearly two years now and it's amazing how much they've changed in that short time. When I chose my first pair of shoes, a pair of black wedge sandals, the focus was definitely on comfort rather than trends. 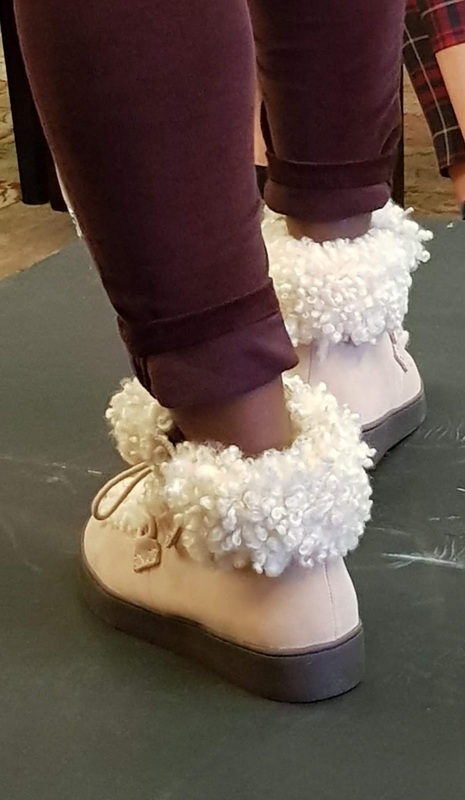 Now they have a designer who came from Ugg, and the majority of the audience at the London show was bloggers in their 20s/30s. This is clearly a very style-focused brand. Young women and men have less reason than we over-40s to prize comfort and for them, style is all. The younger bloggers were wearing their Vionic shoes and extremely enthusiastic about them. It's one thing to be gifted with a product; it's quite another to be an enthusiastic advocate for the product. Vionic's hash tag is "Discover the secret" and it can be summarised as "Style: it doesn't have to hurt." Vionic have two different silhouettes, one for for high heels and one for leisure wear. 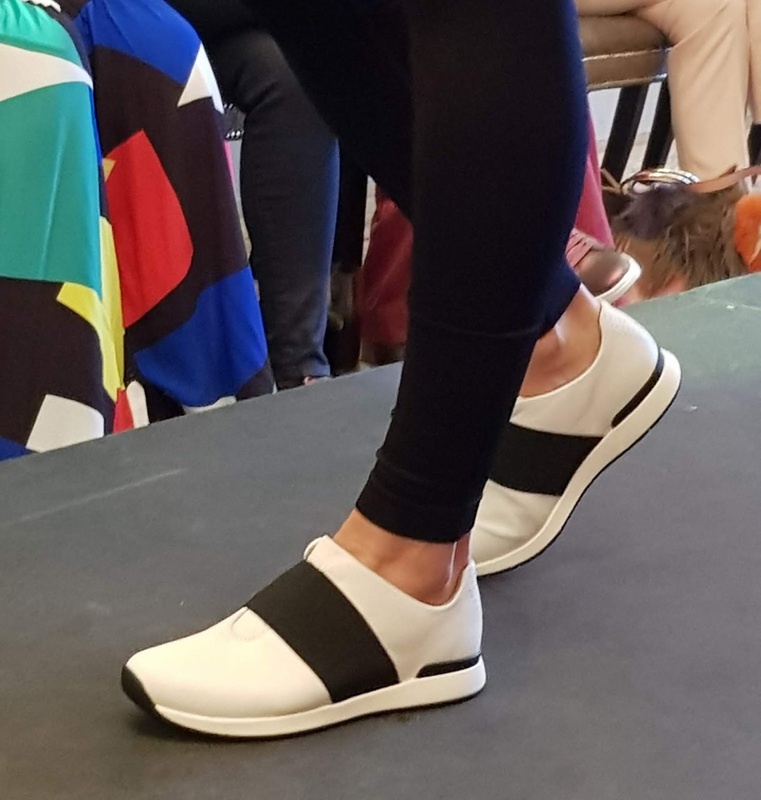 "Downtime" shoes for leisure wear feature a contoured footbed, a deep heel cup for essential stability and a firm yet flexible midsole to support balance. Uptime shoes have a heel seat to stabilise and position the foot, and ball-of-foot cushioning for all-day comfort. Some of the styles now have a removable foot bed, which you can wear in other shoes. Vionic showed a very strong lineup in the type of shoe that we call trainers in the UK (sneakers in the US). They're often worn with skirts and dresses. Heck, even Is This Mutton? has been known to wear this trend with my Stan Smiths, although Mr Mutton tends to say "are you going out like that?" which puts a dampener on it. The Codie has a supportive elastic strap across the vamp and perforated leather or nubuck heel detail. Codie comes in white, taupe and black. This is the Ellis, a leather slip on featuring a full grain leather finish. It also comes in black. Vionic also had a strong line up of boots, including for the first tine long boots that finish just below the knee. 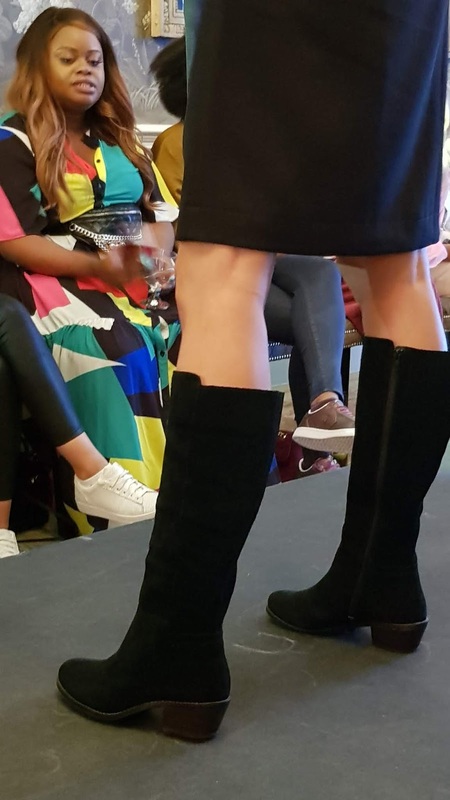 The Ugg influence is shown in these Oak lace-up boots which seemed to be either loved or loathed by the audience. In sand or black. they have a faux fur trim and flannel lining, suede upper and rubber sole. They would be perfect for skiing holidays. 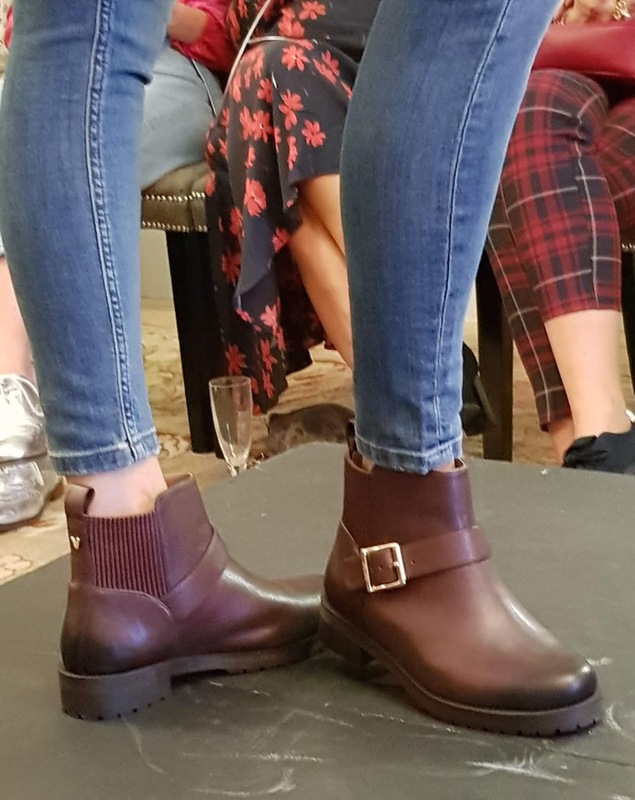 Notice the "V" at the back of this Thatcher ankle boot which has been added to most of the styles as a neat branding touch. The footbed is removable.Also available in black. If you like an ankle boot with a higher heel, these are very fashion forward. The longer Tinsley boots below, in black or charcoal, have a stacked heel and a removable leather foot bed. They don't cling to the calves so I think they would probably be great for those of us who struggle to get boots over our legs. 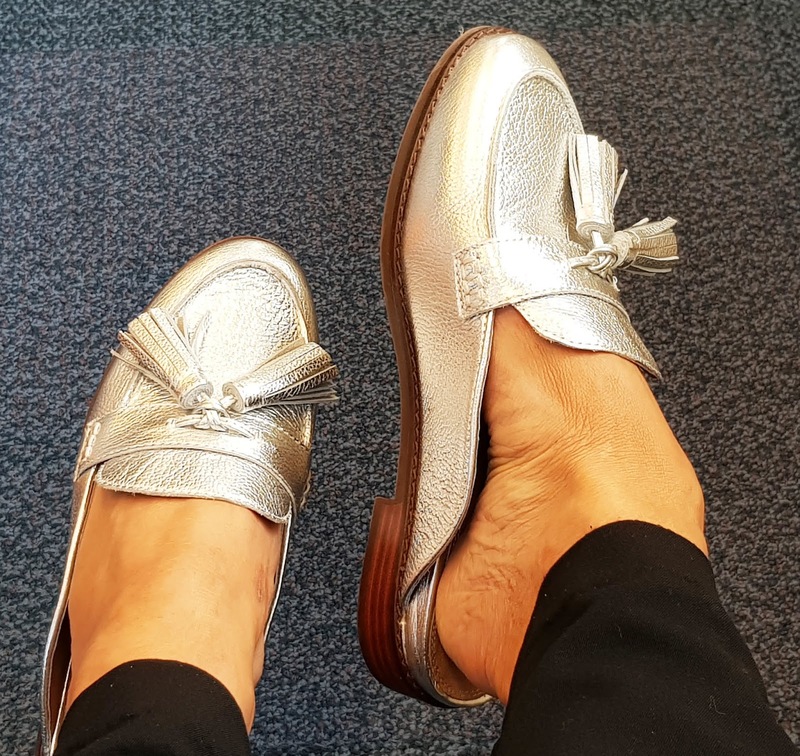 Regular readers will know I have a thing for brogues, and Vionic set my heart racing with these Hadley brogues in black patent or silver metallic leather. I am holding two pairs in the picture at the top. They looked great worn with skirts and dresses, as well as jeans and trousers. I was pleased to see that the popular Josie kitten heel is back in different colours. I have these in leopard, which is available again. There's a new variant is natural snakeskin (below) which I think will be very popular. The Josie shoe comes in leather or suede and they're perfect for working women. They have concealed biomechanic contours and added metatarsal dome padding to support the forefoot. You'll find Josie in black, navy, sand, green and grey too - although not all the colours are on the website yet. The men's range was very impressive and I will be encouraging Mr Mutton to take a look. 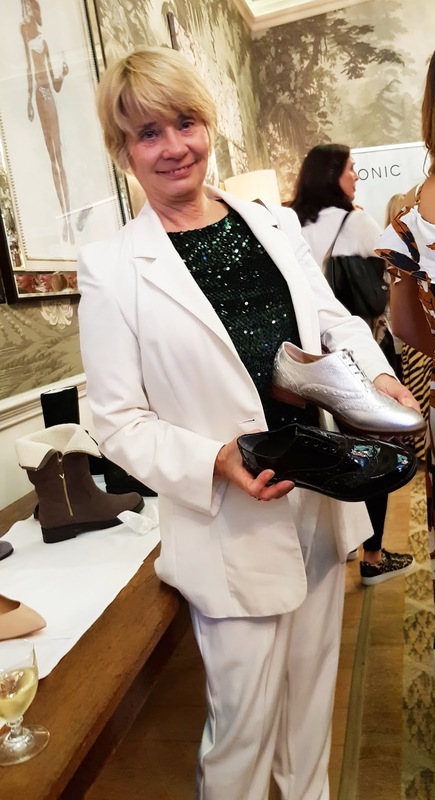 And although there was a slight titter when a pair of slippers was shown, I was quite excited at the idea of having the Vionic foot tech in my home! Finally, you may be asking which shoes I will be wearing. In the spirit of going outside my normal comfort zones I'm trying these backless tasseled Reagan mules in silver. Look out for them in outfits over the next few weeks. I was gifted with a pair of Vionic shoes but as always my opinions are objective and unbiased. I've heard such good things about Vionic shoes. Finding stylish shoes that are also comfortable isn't easy. I'm having such problems with my feet lately that I'm wearing trainers more and more. Thank goodness it's now considered fashionable to wear them with skirts and dresses! Thanks for linking up Gail!